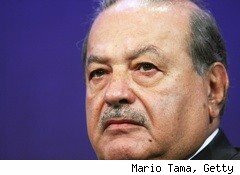 Reports Friday, on DailyFinance and elsewhere, that Mexican billionaire Carlos Slim had greatly increased his holdings in The New York Times Co. (NYT) have turned out to be inaccurate.Slim, whose investments in telecommunications and other businesses made him one of the world's richest men, acquired the potential to become the Times Co.'s biggest shareholder when he gave the paper a $250 million loan in exchange for warrants for its common stock. Editor & Publisher first reported Friday that Slim had exercised those warrants, and DailyFinance ran its own report, linking to the E&P article. On Saturday, however, a spokesperson for Slim clarified that the filing appearing to show that Slim had exercised the warrants was merely a piece of paperwork required annually by the Securities and Exchange Commission. A footnote in that filing explained that most of Slim's Times Co. position remains in the form of warrants. "Nothing's happened in terms of [the Slim family's] position," said Slim's attorney. "It hasn't changed." Despite being one of the publisher's biggest investors, Slim does not have a seat on the Times Co.'s board. Another investment group, Harbinger Capital Partners, earlier tried to gain control of the newspaper chain by buying up common stock, only to settle for two seats on the board, not enough to accomplish its ends. Harbinger finally unloaded its Times stake last September. Besides publishing The New York Times, the Times Co. owns more than a dozen other newspapers, including The Boston Globe, as well as more than 50 websites such as About.com.